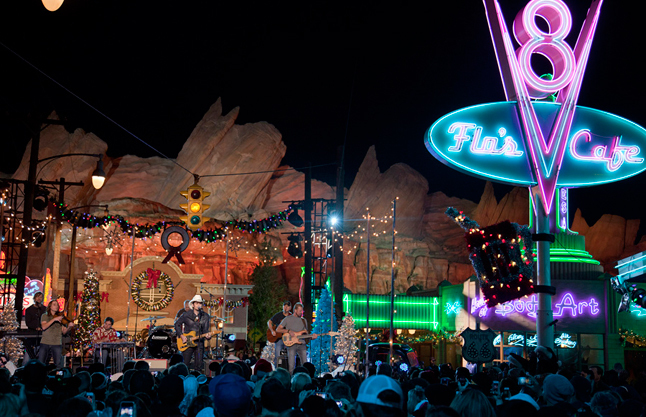 Country superstar Brad Paisley recently taped a special performance at Disney California Adventure park for theDisney Parks Christmas Day Parade which airs on ABC December 25. Brad is no stranger to Radiator Springs. 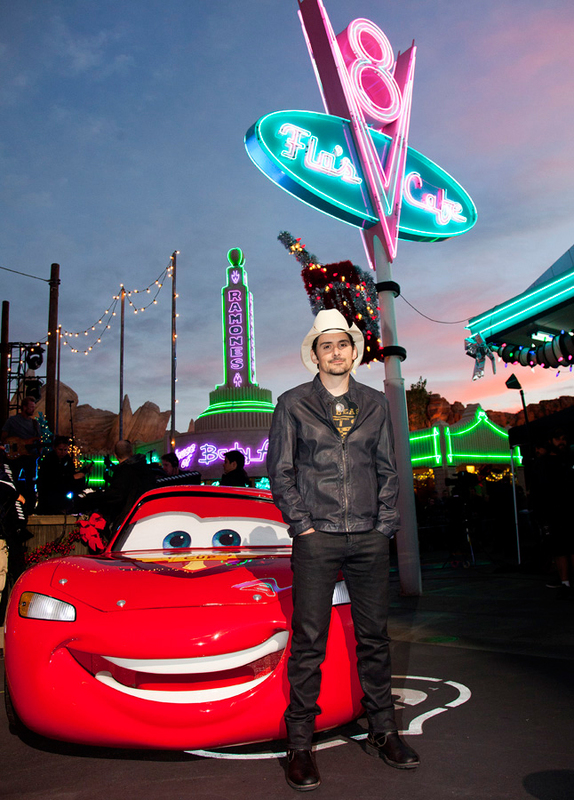 You may remember he joined us for the grand opening of Cars Land in June, and of course, he sang two songs for the original soundtrack of the Disney•Pixar film “Cars.” One of those songs, “Behind the Clouds,” is the song you’ll see Brad perform Christmas Day on ABC. 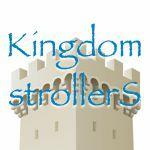 In the Eastern time zone, tune in from 10 a.m.-noon; in the Central, Mountain and Pacific time zones, tune in from 9-11 a.m. to catch all the fun from Walt Disney World and Disneyland Resorts! Keep an eye on the Disney Parks Blog for more updates on the 2012 Disney Parks Christmas Day Parade and join the conversation on Twitter with the hashtag #DisneyParade.